Teddy had a very busy first full day at the shelter. One of our volunteers took him for a 5 mile hike with her own dogs and he met lots of dogs and even some horses! 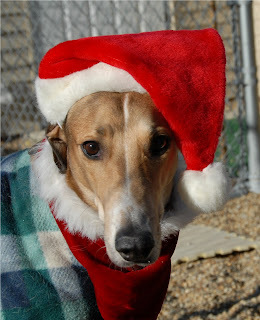 He also reluctantly posed for some Santa hat photos before settling in for a much-needed nap.